Fourteen people have been arrested in connection with a deadly 2012 national outbreak of fungal meningitis linked to steroid injections from a Massachusetts compounding pharmacy, including two charged with 25 acts of second-degree murder. 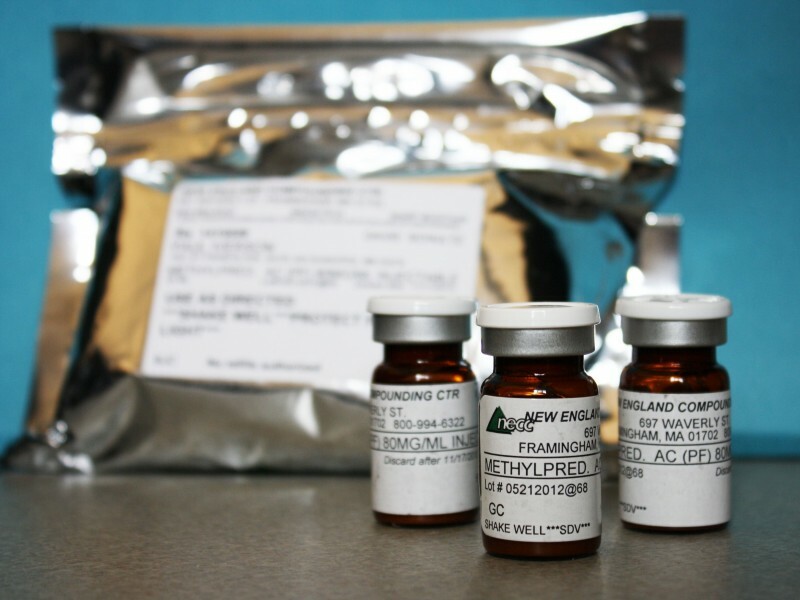 Owners of the pharmacy, the New England Compounding Center, were among those arrested. The U.S. Centers for Disease Control and Prevention tied 751 cases across 20 states to the steroid injections. A total of 64 people died as a result. They came down with fungal meningitis — which results in inflammation of the membranes covering the brain and spinal cord — after their spines were injected with a contaminated, preservative-free steroid called methylprednisolone acetate, health officials have said. And NECC’s owners seemed to admit to some culpability in agreeing to create a $100 million fund for victims of the outbreak in late 2013, about a year after filing for bankruptcy protection under Chapter 11. The compounding pharmacy, however, has been defensive in other ways. In January 2013, it filed a letter with the Securities and Exchange Commission claiming its cleaning company should share responsibility for the outbreak. UniFirst Corp. acknowledged that it provided “once-a-month cleaning services,” but added that the pharmacy’s claims are “without merit,” the filing says. The indictment filed Tuesday in U.S. District Court means that they could spend time in prison as a result. The 14 people arrested face an array of charges such as racketeering, conspiracy, mail fraud and the production and sale of both “adulterated” and misbranded drugs. The indictment claims that NECC did not comply with cleaning, sterilization and other safety regulations — and that many who worked there, from its owners to pharmacists — actively lied about it. NECC President Barry Cadden, for one, “instructed the … sales force to falsely represent to customers that NECC was providing the highest quality compounded medications,” the indictment states. He and others also allegedly used or approved the use of expired or expiring ingredients and “failed and caused others to fail to properly sterilize drugs,” it states. Not enough testing was done to make sure the drugs were safe. When it was, it often indicated problems, according to the indictment. Yet “action-level sampling hits” in 37 out of 38 weeks didn’t prompt NECC to re-evaluate, investigate or do something significant about its procedures and practices.